The Department of City Development (DCD) has created a new tool as a single resource for those looking for housing information from various City departments. Whether you’re in the market for a fixer-upper, a historic house, a vacant lot to build on, or are looking for resources to improve your existing home, the City of Milwaukee can help you reach your goals. The Housing Help web tool filters information for three types of users: homeowners, home buyers and investors/non-profit organizations. Explore this new tool to find housing resources you can use! 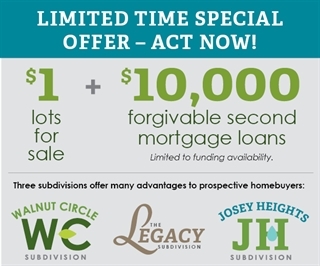 Continue reading below about properties for sale, learning opportunities, events, neighborhood news, and more. Be sure to visit our website on Monday, June 19 to view a new listing of properties posted to the Current Listing! 4 BR / 2 BA • 2,056 sq. ft. This 1.5-story brick home was built in 1890, features a detached garage and sits on a 4,800 sq. ft. lot. 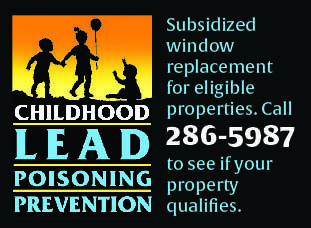 May be eligible for Rental Rehabilitation Loan Program funds (up to $14,999 per unit) or $20,000 forgivable loan. 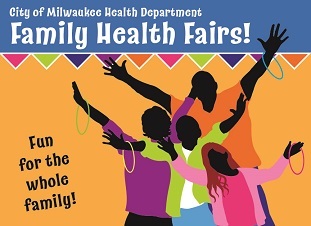 The City of Milwaukee Health Department invites you to the 2nd annual Family Health Fairs for free health screenings, services, health information and resource tables from City departments such as the MPD, MFD, DNS, DCD and DOA. Visit our City of Milwaukee DCD table TOMORROW for info on housing and programs! Each year Historic Concordia Neighbors, Inc. (HCNI) conducts one of the most popular home tours in the state. Everything from beautifully restored Victorian mansions of Milwaukee's most famous residents to restoration work in progress. Learn the history, meet the neighbors, enjoy the entertainment. $20 at door. Open our flyer of Historic Houses for sale. Monday, June 19, 6-7:30 p.m.
Wednesday, June 21, 6-7 PM, East Library, 2320 N. Cramer St.
Wednesday, July 12, 5:30-6:30 PM, Urban Ecology Center, 3700 W. Pierce St.
Wednesday, June 21, 9 a.m. - 3 p.m. Sign-In: 8:30 a.m.
Forest Home Library, 1432 W. Forest Home Ave.